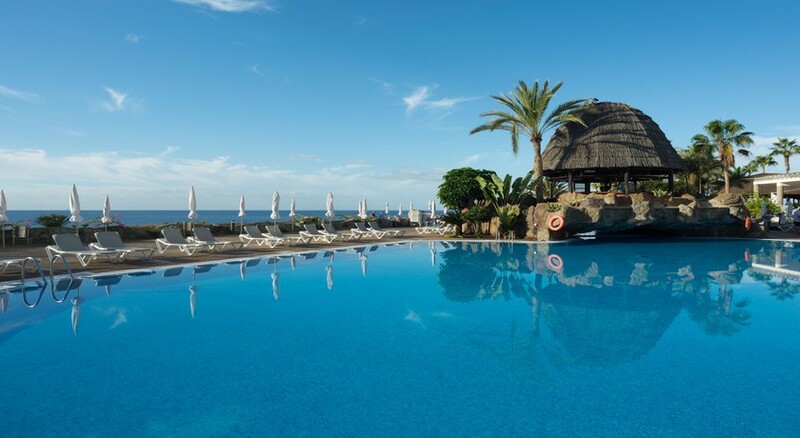 Hotel Taurito Princess is a 4-star hotel located in the serene valley of Taurito in Gran Canaria facing the lovely white sandy beach. the tranquil location of the hotel doesn’t make it too far away from buzzing city life. The lively centre of Puerto Rico is only 9 km away offering endless shopping opportunities. A perfect place for families and couples looking for a relaxing holiday, the hotel is just a few steps away from the beach, so you can lounge on the sands all day long or enjoy water sports. But if you choose to stay indoors, the bright, well-appointed rooms afford amazing views of the azure Atlantic, while the outdoor pools that come with sun beds and parasols are ideal for spending lazy afternoons. Restaurants and bars offering alfresco dining, lush palm garden with sea views, outdoor massage area, sauna, tennis and squash courts, sports activities, fitness room, live music and evening entertainment all conjure the perfect luxury mood you’re looking for. Young guests can enjoy at the mini-club, playground and children’s pool featuring a giant dragon. The hotel is located in the valley of Taurito facing the lovely beach of white sands. The fishing village Puerto de Mogán is only 4 km away, while the city of Puerto Rico is 9 km from the hotel. The nearest bus stop is 500 metres away, from which buses ply to all major tourist destinations. 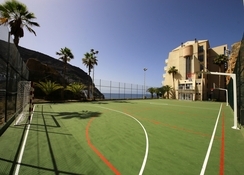 The hotel is 53 km away from Gran Canaria Airport. Taurito Princess has 404 rooms and suites, all of which enjoy magnificent views of the sea and the beach. the accommodation units are categorised into Standard Room, Superior Family Room, Junior Suite and Suite. The rooms are equipped with air conditioning, en-suite bathrooms, satellite television, direct telephone, safe, kettle and fridge. There are two main restaurants and 4 bars at the hotel taking care of all your gastronomic needs. Restaurant Princess offers breakfast and buffet dinner, with frequent theme nights. It has a huge live cooking station from where guests can order freshly prepared dishes. The other one, Restaurant La Choza features a huge outside terrace with nice sea views and serves all the major meals of the day. Guests in all-inclusive package can avail a premium dinner here. The bars at the hotel include Pool Bar Coco Loco, Piano Bar, Disco Bar Salón Princess and Sports Bar. 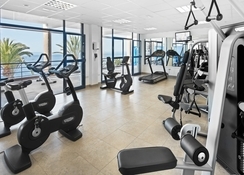 The hotel offers ample opportunities for guests’ recreation and relaxation. The children can have a good time at the mini-club, playground and kids’ pools featuring a giant dragon. Adults can take a dip in the outdoor pool or take relaxing massages in the garden area. 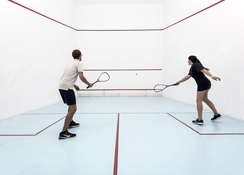 For the fitness freaks the Taurito Princess offers gym, table tennis, tennis court, squash court, aerobic, beach volleyball, aqua gym, beach football and more. The beach has options for water sports such as jet-skiing and para-sailing. The hotel organises live music and evening entertainment programs for guests.